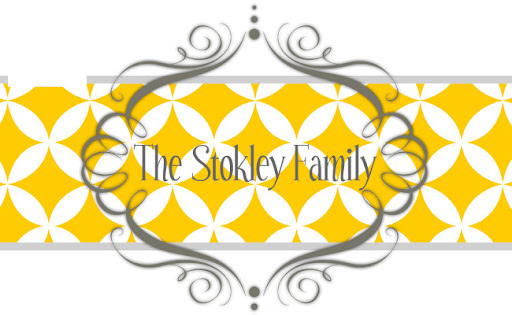 The Stokley Family: Show us your life! A blog that I read named Kelly's Korner is hosting a show us your life living room. I participated in it last time and wasn't going to this time but my living room has changed a lot since then. We redid our floors and I went shopping like crazy at antique places in Cullman with my sister. This is looking in from the foyer. We got new throw pillows and you can kinda see our new floors in there 2 pictures. I got this from a lady you makes them and sells them at stores. I bought it from Curves. I love how it displays the kids art work without being overwhelming. I made the picture frame hanging on the wall and my sister made the pillows and bench. The pillows are old real burlap sacks. The guy we bought them from said they were over 200 years old. I love the colors on them and how they match my throw pillows. Tammy made the bench out of scrap wood she had in her garage in less than 30 minutes. She's a machine! I got the little magazine basket when we were shopping in Cullman as well. I completely redid my mantel and I love the way it turned out. I wanted the barnyard shabby chic look. I got this ladder idea from Tammy. She had a big one in her living room that holds old antique quilts. I got the lamp and ladder when we were in Cullman. I want to get a saying cut out to go on these boards but I have yet to do so. I got the boards in Cullman and Ryan nailed them all together. Although they don't have anything on them right now I still like how distressed they look. Tammy made me this for Christmas and it hangs above my back door. It's a board and knobs on it. Tammy and I also made these when I was up there visiting her. We made them completely out of things she already had. They are fence boards with burlap and mattress springs for the handles. As I was posting all of this I realized that almost my entire living room has been furnished from one weekend in Cullman. They have the best stores up there and I can't wait to go back!! LOVE your living room!! Those fence posts/burlap/mattress springs-- genius! How fun that everything was just stuff you already had! And your mantel looks fabulous. I'm always looking for inspiration there! I can't believe how much of the stuff you've made. So amazing. I wish I was crafty like that. I have a window on my mantle too, LOVE it! Love the family sign i've been thinking about doing some type of banner with mine! The magazine holder is great!